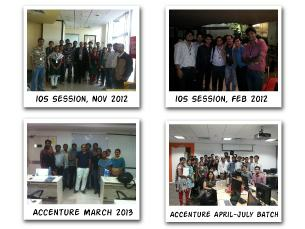 We at the Nimap Infotech have started with Fun Friday activity. On Fridays the entire mobile team of the Nimap Infotech will be doing free consultancy post lunch till end of day. This is a small step to build great mobile developers community. You have problem let us know we will help you to solve it or give you head start to resolve the issue. This is completely free service. Any one can discuss the issue and our team will help you to resolve the same. Query can be any thing whether technical, business, user experience, legal issues any thing related to mobile domain. You have to fill small form below. We need the information as to avoid spams. When you will send us an email we will first check against the in house database and than go through your query. Only emails, which are registered, will be given the support and others will be ignored. Drop an email with your query at support@softkraftsolutions.com and we will help you get your query solved. PS: We will try to resolve your query immediately but some times we might take bit long to resolve but we will definitely reply to your email.